Grande Arche de la Défense - Things to do in Paris. Live like a local ! 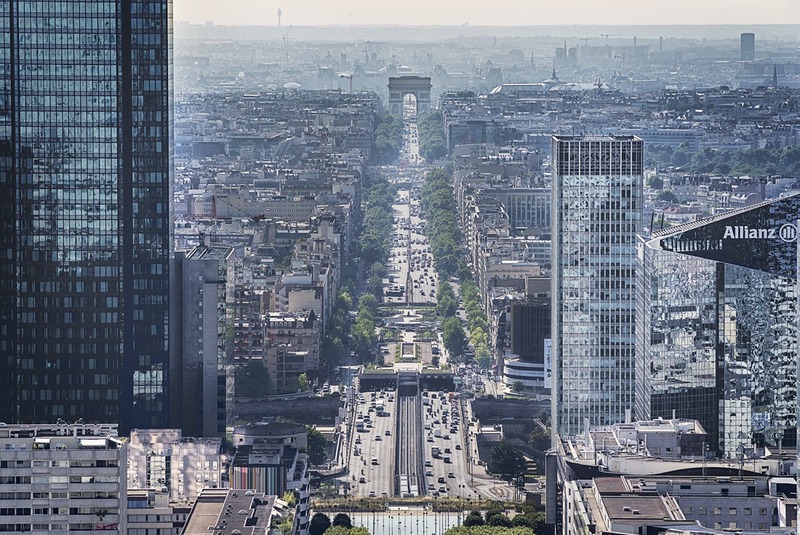 An amazing panoramic view of Paris from the business district. The business district is not necessarily the first place where tourists think to go when they arrive in a city. Nonetheless, it is a very impressive place! 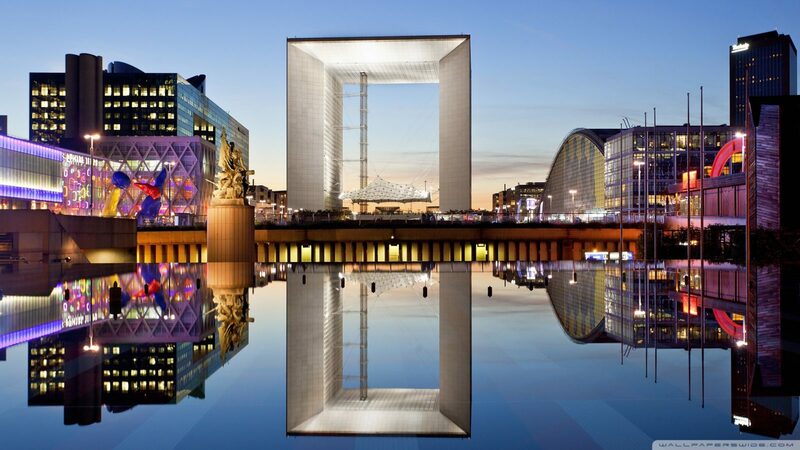 La Grande Arche is known as the little sister of the Arc de Triomphe. 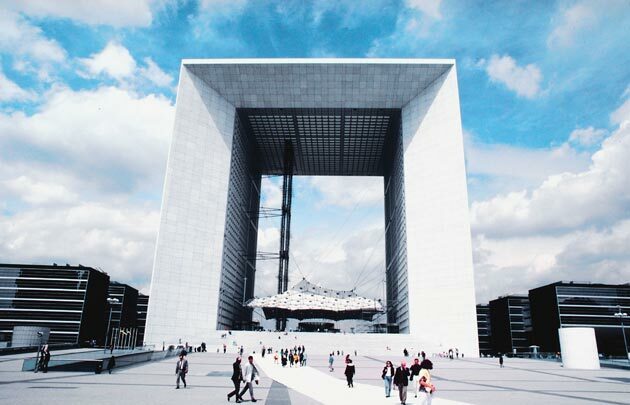 La Grande Arche is a modern building in the same big perspective as the Arc de Triomphe, the Champs Elysées avenue, Concorde Place, The Tuileries Gardens and at the end the Louvre Museum. La Grande Arche was built in the 1980s, under the influence of former French President Mitterand, and is very great if you like panoramic views. As a matter of fact, historically speaking, this sort of building back in the Roman Empire, was supposed to represent military victories. So do the Arc de Triomphe, built by Napoleon Bonaparte. Yet, la Grande Arche is not about military victories, but rather supposed to represent common human ideals! 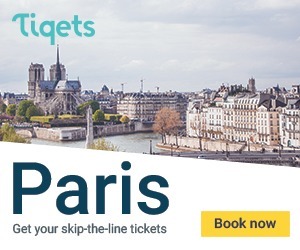 And if by any chance you feel like you want to do some window-shopping, there is a huge shopping mall named Les Quatre Temps, at the feet of the Grande Arche, where you’ll get anything you need. 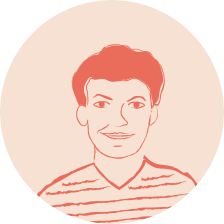 Have a look at our article !